When you are facing a DUI conviction, you need an experienced lawyer who knows how to craft a strong defense on your behalf. 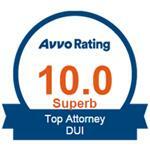 If your current attorney does not meet that description, you may be wondering how to change your DUI lawyer. In most cases, you can change your Pennsylvania DUI lawyer simply by notifying your current attorney that you wish to terminate your relationship with them. No further explanation is necessary. When you began working with your existing firm, you likely signed a retainer agreement or similar contract for legal representation. Begin by reviewing this document to determine whether you must follow a specific procedure for terminating your relationship. Before making this potentially impactful change, however, it is important that you have another DUI lawyer ready to go. Otherwise, it may delay your case and cost you a more favorable outcome. How Do You Know It Is Time to Change Your DUI Lawyer? Most clients know when a problem starts to develop—or already exists—with their attorney. One of the most common problems is a lack of communication. Maybe your lawyer will not return your calls within 48 hours—or at all. Maybe they have not kept you informed about your case or answered your pressing questions. Or, maybe you disagree with your attorney on how your case should proceed. If you have received multiple requests for the same document, for example, or if documents are not ready when promised, it may indicate a problem. If your attorney regularly requests time extensions from the court or forgets key details of your case, you may have cause for concern. If your lawyer actually misses court deadlines, you need to determine the reason immediately. Otherwise this could compromise your legal rights as well as the outcome of your case. 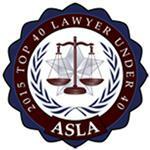 The other pressing reason to consider making a change in your DUI lawyer is capability. If you originally selected an attorney who does not specialize in Pennsylvania DUI cases, you may need to choose a new lawyer who has the necessary qualifications. Will the Court Allow to Switch Lawyers? As long as your case has not entered the trial phase, the court should allow you to switch your lawyer. Before your trial has started, the court will typically allow you to make this change if you can support your reasons—for example, that your lawyer failed to provide effective representation—as long as the change does not significantly delay your case. Once the trial begins, however, the judge probably will not consider your request unless you have another attorney up to speed and ready to step in immediately. Most courts will make an exception if you can prove that your lawyer abandoned the case or provided inadequate representation. 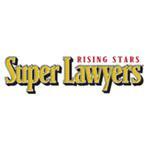 How Will Changing Lawyers Affect Your DUI Case? The answer to this question depends on the lawyer you select to replace your current attorney. If your current legal representative has failed to aggressively represent you in your case, switching lawyers may significantly improve your chances for a favorable outcome. How Do Your Inform Your Current Lawyer of the Change? Inform your current lawyer of your decision by sending a certified letter. In your letter, state clearly that you are terminating the relationship immediately and direct him or her to immediately stop working on all matters related to your case. Request a breakdown of your legal fees to date. If you gave the firm a retainer, request a refund of the unused portion. Also, request that the attorney turn over all of your files either to you or to your new DUI lawyer. Provide a deadline by which you want all of these items. One issue of note is that your old lawyer has no legal obligation to turn over any “work products”. Anything they created is a work product and they will likely not provide you with any of that information. Related: Is Violation Of Probation A Misdemeanor In Pennsylvania? When Is the Best Time to Change Your Lawyer? If you sense a problem with your attorney, do not waste time. Otherwise, you may harm your case and put yourself at risk. If your case is already progressing through the system, putting off this change may make the switch more difficult. Legal experts recommend having another attorney lined up before you inform your current lawyer of the switch. That way, you do not lose precious time or compromise your legal rights. 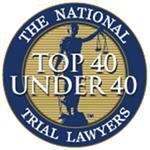 How Do You Find a New DUI Lawyer? Finding the right DUI lawyer can make the switch easy, particularly if your current attorney has failed you in some way. 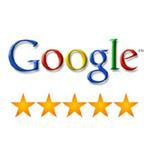 You can look for someone who is highly rated or who has outstanding testimonials from past clients. Nothing substitutes for talking to your potential new DUI attorney in person. 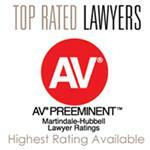 That is why the McKenzie Law Firm, P.C., offers free consultations and case reviews. We believe that the best customer service begins with a face-to-face meeting and conversation. 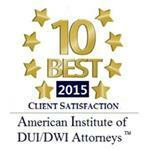 Contact us today at 610-680-7842 to schedule your appointment or to speak directly with a Pennsylvania DUI lawyer.